In search of the holy edible insect grail: The Bacon Fly! 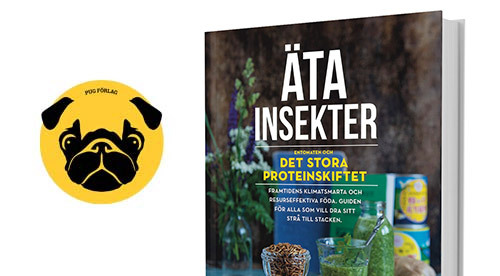 - Bug Burger - äta insekter! Vision 10: Say hello to the Bacon Fly! The insects we grow as food in Europe today all have one thing in common: they have previously been grown as feed for pets! Of 2 111 documented edible insect species, there may be significantly more interesting candidates. Insects that can be grown in a good way could, with the right feed, provide us with unprecedented culinary opportunities. Everybody who would eat a nutrient rich, healthy grub that tasted like smoked bacon raise a hand! I would for sure (I really miss eating bacon). I came to think about this vision while reading Matt Simons article in Wired “Save the lemurs! Eat the crickets!“. A story about how scientists are trying to make people in Madagascar rediscover eating insects instead of killing and eating endangered lemurs. 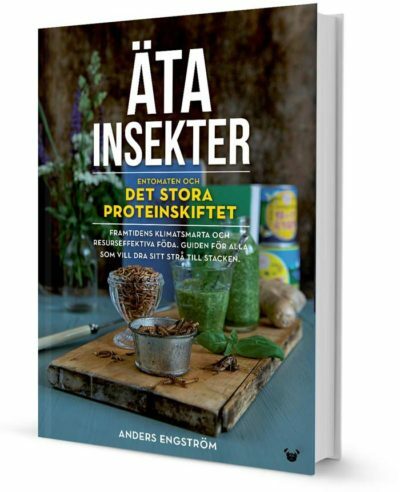 The tradition is there, but it has been partly lost (especially in the cities) and the project goal is making people breed their own insects and provide themselves with a more sustainable protein source. What I think is most interesting in the article is that they are trying to breed local insects and how they taste. They started out with investigating local cricket species. The species the researchers landed on is called Gryllus madagascariensis. With help from local kids they managed to collect 50 individuals in the wild, breed them and now they have around 350 000 new crickets each day! From the crickets they mainly make powder. Wow! Chocolate. But what makes this article even more intriguing is a claim from Brian Fisher, an entomologist with the California Academy of Sciences, who helped start the program, that there is a Malagasy insect known as sakondry (or sakandry) that fried actually tastes of bacon! Looking after more info on this insect it seems that it is part of the Fulgoridae (Planthoppers) family and called Zanna madagascariensis. A really cute looking bug also know as the “Malagasy lantern bug” or sakondry. It feeds on lima-bean and if you grow lima you automatically get a lot of sakondry and a good bacon-tasting protein source. I found one other source on the web repeating that sakondry tastes like bacon (se tweet from antropologist Cortni Borgerson below). Taggar: Gryllus madagascariensis, Madagascar, sakandry, Zanna madagascariensis.